If you’re one of the fans that think Davis Webb can’t be the next quarterback of the New York Giants, you’re going to want to check out his latest workout clips. Here’s a clip of Webb from one specific game against Washington; where he struggles with his footwork and overall had a poor game. In this play, Webb is hopping and his footwork seems sloppy, as he doesn’t provide any leg strength into his throw, or plant his feet. His decision to throw into near triple coverage is also questionable, and his vision due to lack of movement is a problem. Watch how Webb drops back and plants his back foot, using his hips to provide zip and power into his throw. That’s a VASTLY different throw when it comes to his old mechanics in college. The hesitation right before he throws to ensure his foot is stabilized and his receiver is open is exactly what you want to see at the next level. Identify a target, stabilize quickly, and release with power and accuracy. Here’s another example of his refined mechanics; as he drops back with quick steps and resets at the point of release. Compared to the first video, you can see a major difference in terms of length of steps backwards and his ready position to throw to a receiver. Here’s a short play-action clip, where Webb steps back smoothly and delivers a strike with power. His transition from the ready position through his hips and into his delivery is flawless. There is no doubt he has improved since his days at college. Just look how poor Webb’s drop-back was in this game against Washington… If you compare that to the clips above, there is almost no comparison to be made. Two completely different quarterbacks in terms of mechanics (footwork & throwing motion). The bottom line, Webb is showing major improvements since being drafted in the third-round last year. 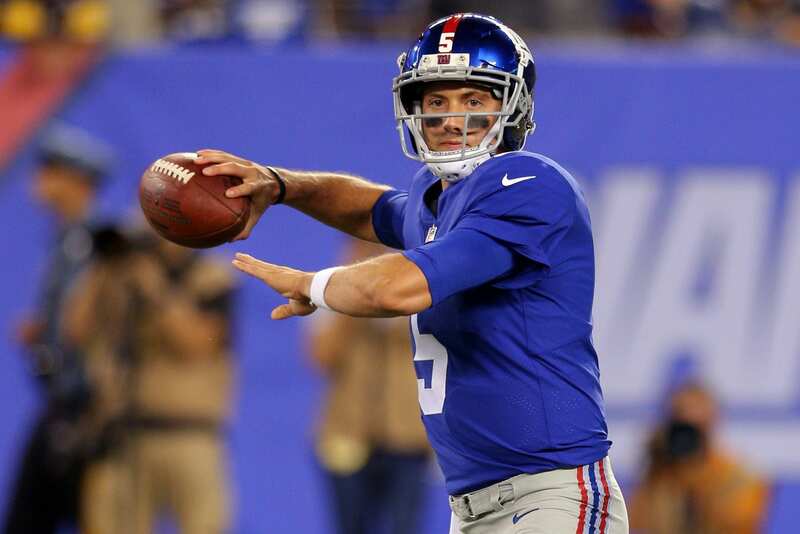 If the new regime believes they have their future quarterback already on the roster, they can address other needs on the team which would put the Giants in great position moving forward. It’s also important to mention Pat Shurmur’s success with quarterbacks, and how beneficial he could be to a player like Webb moving forward. If Shurmur shepherded Case Kenum to become a top-tiered NFL QB for the Vikings, think of what he can do with Webb. 4) Trade down to accumulate a cache of draft picks.